We are happy to present you one of the world’s first devices which will help you to carry out a variety of experiments with your makeup. 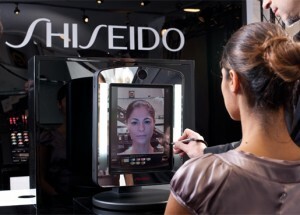 It is Shiseido Real Time Makeup Simulator. With help of Real Time Makeup Simulator and its magic touch you can try a variety of images, as if you were at your home in front of a mirror. With only one difference: at home it would took you at least 10 minutes to finish your makeup, and thanks to Real Time Makeup Simulator now you can try up to 5 different images in a matter of seconds! 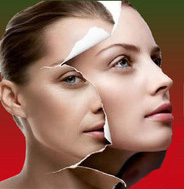 Real Time Makeup Simulator with its built-in camera helps you immediately see all the changes of your look. You will be able to choose the right make-up for your eyes or lips and compare it with others, so you can look your best going to work or business meeting, or a date!